This is my stop during the blog tour for The Dating Intervention by Hilary Dartt. This blog tour is organized by Lola's Blog Tours. 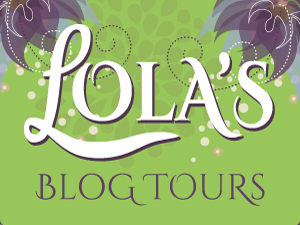 The blog tour runs from 1 till 14, you can view the complete tour schedule on the website of Lola’s Blog Tours. This is the first book in the Intervention series. When Delaney Collins’s fail-proof dating system fails completely, her best friends Summer and Josie take absolute control of her dating life through The Dating Intervention. Although Delaney’s intuition is always right on when it comes to men, she never listens to it. If she doesn’t start now—with her friends’ help—she’s in danger of ending up alone and lonely in a sea of men with stained neckties and cumbersome baggage. Hilary Dartt is an author and freelance writer who grew up among the redwoods and hippies of California and now lives among the cacti and cowboys of the wild west. She and her husband live in Arizona’s high desert with their children and an assortment of pets, including five chickens. 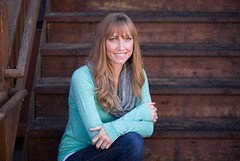 To maintain sanity and quiet her inner critic, Hilary runs, drinks wine and eats chocolate. She’s the author of The Intervention Series: The Dating Intervention, The Marriage Intervention and The Motherhood Intervention. Learn more at http://www.hilarydartt.com/.